Heat or ice for spinal stenosis are both home remedies which are used by many patients to soothe the symptoms of central canal or foraminal narrowing. 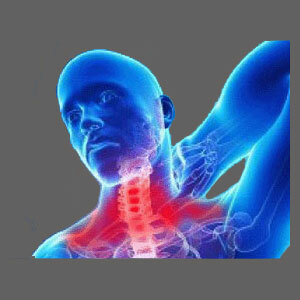 Heat and ice are great methods of pain management, since they are free, safe and have absolutely no side effects. These positive attributes are hard to beat and are virtually unmatched by any other therapy option. However, all is not perfect with heat or ice treatment. Remember that the sources of stenosis exist inside the spinal canal. They can never be cured using heat, ice or any home remedy. Heat and ice are only good for patients who understand their limits and utilize them exclusively as a method of coping with symptoms while they pursue a lasting resolution for their suffering. Additionally, not all patients will enjoy benefits from using heat or ice. Some symptoms, particularly those of the neurological variety, are unlikely to be assuaged using any home treatment. This patient guide details the most effective use of ice or heat to treat spinal canal stenosis. Heat can be applied using a variety of modalities. Professional heat therapy is often called diathermy and may be provided using radio waves, ultrasound waves, laser devices or infrared technologies. Home-use heat treatment is far more common and generally consists of topical products which provide a warming sensation or direct application of wet or dry heat to the skin. This can be in the form of a heating pad, a hot pack or a hot towel. Many patients enjoy submersion in a warm or hot bath, tub or pool, which can be a valuable part of professional physical therapy or an easy home treatment. It is crucial that caution be taken when using any type of heat therapy. Be sure not to make the temperature too hot, or else there is a risk of burns. Make sure to speak to your doctor before using heat sources, since some, especially immersion methods, can increase blood pressure in select patients. Ice therapy can also be provided using professional or home-use products and treatments. Many topical creams and ointments involve a deep freeze feeling, even though no actual temperature change is taking place. Regular ice wrapped in a towel, or a cloth soaked in freezing water, will both be very effective for cooling affected areas of the anatomy. Immersion in a cold shower, bath or tub may provide the fastest results, but may also be shocking to the system and cause muscle spasms in rare instances. We really like the versatility of reusable ice/heat packs which can be stored in the freezer, ready to go, and can also be microwaved for heat applications when desired. 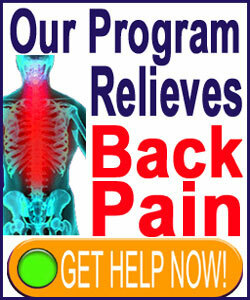 These are fantastic and every back pain sufferer should have a few on hand. Many patients do not know whether to use ice or heat for spinal stenosis symptoms. Well, neither will do anything to help or harm the underlying process of pain, so it really depends on your own preferences. There is no absolute rule. Many doctors and physical therapists leave it up to their patients to decide which works best, while others recommend using both. The standard advice is to apply ice the first 24 to 48 hours after an acute flare-up of pain or injury, followed by regular applications of heat thereafter. We can tell you that this works fantastic for minor muscular concerns, bruises and sporting injuries, although we are not sure how well the recommendation applies to ongoing stenosis pain. Remember that heat can be dangerous in some instances when the temperature is too hot. This can really come in to play for patients who experience objective numbness in affected areas and might not feel the pain of an obvious burn. Likewise, ice can be just as dangerous when left on for too long. Never leave ice applied for more than 15 to 20 minutes at a time and make sure to leave it off for at least as long before reapplication. Failure to do so can result in serious hypothermic conditions, tissue damage and circulatory concerns.